Mary Chiappetta, a District Learning Coach at School District 61 and tireless champion working to help more even more teams across Victoria participate in the VIATeC Food Bank Challenge is our Tectorian of the Week. 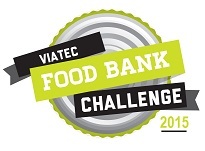 This year is the first year the VIATeC Food Bank Challenge has been opened to the wider Greater Victoria community. The 2015 VIATeC Food Bank Challenge ends on February 27th, and it is turning out to be yet another great year thanks to the contributions of dedicated community members like Mary Chiappetta. Mary Chiappetta is one of our community members responsible for its success this year. Mary doesn’t work at a tech company. Instead, she works as a learning coach with Greater Victoria School District. She championed introducing the VIATeC Food Bank Challenge to the community by introducing the event to her Learning Initiatives team at School District 61. She has continued to rally the other employees who work at School District 61 to contribute to the challenge. Making inroads into the Victoria comunity was a key objective of this year’s VIATeC Food Bank Challenges. Champions like Mary are essential to help the Food Bank Challenge to spread further into the Tectoria community from year to year. Mary is indeed a true Tectorian in other ways, too. In her role as a District Learning Coach with Learning Initiatives, Mary provides professional development opportunities for teachers all across the Greater Victoria School District #61. Mary and the other members of the Learning Initiatives Team (let’s give a shout-out to Petra and Jessica!) aim to provide teachers with insights about the latest teaching methods to help students learn. 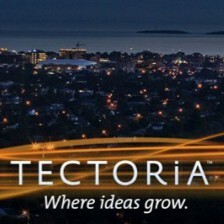 Effective teaching is the cornerstone of the Tectoria knowledge economy. If we want to continue to build an economy based on innovation, we need innovative, creative students willing to explore new technology. Teachers need to be able to understand and effectively wield new technologies, and then use these new tools in the classroom. The Learning Initiatives team helps teachers not only learn about new innovative tools and technology, but they also implement them immediately with their students. In short, it’s all part of helping Victoria students be better prepared to participate in the global community, and become future Tectorians themselves. 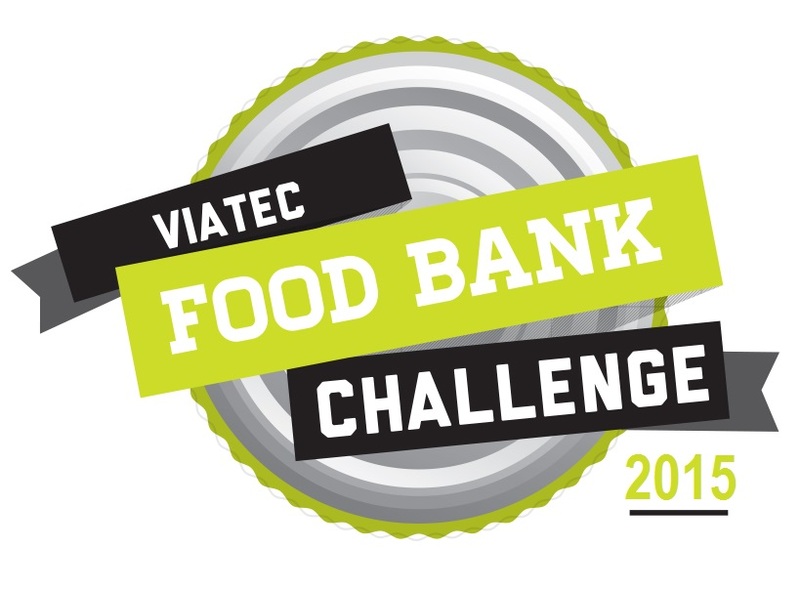 If you and your company have enjoyed competing in the 2015 VIATeC Food Bank Challenge in February, another awesome opportunity to give back to your community is around the corner. From May 1st to May 11th, 2015 the Dahlia Society will be hosting a Canstruction event at Mayfair Mall. Just like the VIATeC Foodbank Challenge, all food and funds raised will go to support The Mustard Seed. Note: Canstruction is open to anyone and everyone in Victoria – you don’t have to be a tech company, VIATeC member or Food Bank Challenge participant to participate in Canstruction. They are looking forward to your support! The deadline for Victoria companies & teams to sign up for Canstruction 2015 is coming up at the end of February (learn more about Canstruction in Victoria here). VIATeC Food Bank Challenge companies who sign up for Canstruction are eligible to receive extra points. Week 1 of the challenge saw a very close race between Red Brick Media and RevenueWire. Red Brick Media came out slightly ahead, with both companies raising over $2,000 in cash. In Week 2 ParetoLogic built on their momentum from a solid Week 1 effort, earning the most points of any company for the week. ParetoLogic’s score has been further boosted by the Bonus Points awarded to them for their relentless recruitment efforts. As for February 16th, at the halfway point of the challenge, the top 3 companies overall are RevenueWire, Red Brick Media and ParetoLogic, in that order. Canstruction is a unique charity that hosts competitions, exhibitions and events showcasing colossal structures made entirely out of full cans of food. After the structures are built, the creations go on display to the public as a giant art exhibition. At the end of the event, all food is donated to local hunger relief organizations. The Canstruction project has helped raise over 21 million pounds of food since 1992 through events held annually in over 150 cities around the world. Canstruction is hosted locally by the Dahlia Society, a non-profit community society in Victoria B.C. working to end cancer and hunger by hosting unique events and supporting local initiatives. The Dahlia Society’s 2014 Canstruction event brought in over 29,000 cans worth over $47,000, $1,000 in cash donations. The 30,569 lbs. of cans donated in Victoria in 2014 helped create 36,683 meals, and lasted for three and a half months before the last can was opened. 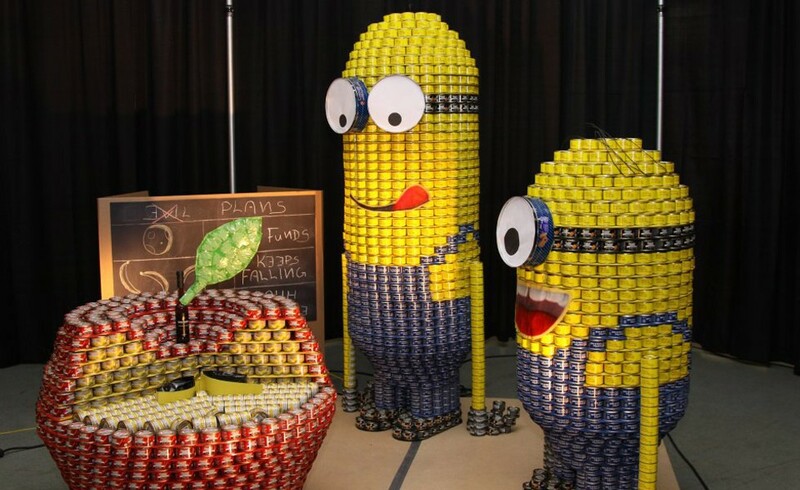 Local companies and teams (including VIATeC Food Bank Teams) are invited to participate in Canstruction 2015 from May 1st to May 11th at Mayfair Mall. Each team is required to have an architect, engineer, landscape architect, graphic designer, or other designated design professional. The rest of each team is made up of people like you, from the local community, who want to support the fight against hunger. FAQ’s are here, and the signup page is here. Our Tectorian of the Week is David Fissel, who serves as Chair & Senior Scientist of ASL Environmental Services and has been a longtime tech community supporter, booster and cheerleader. ASL Environmental Sciences provides scientific oceanographic services, specializing in physical oceanography. 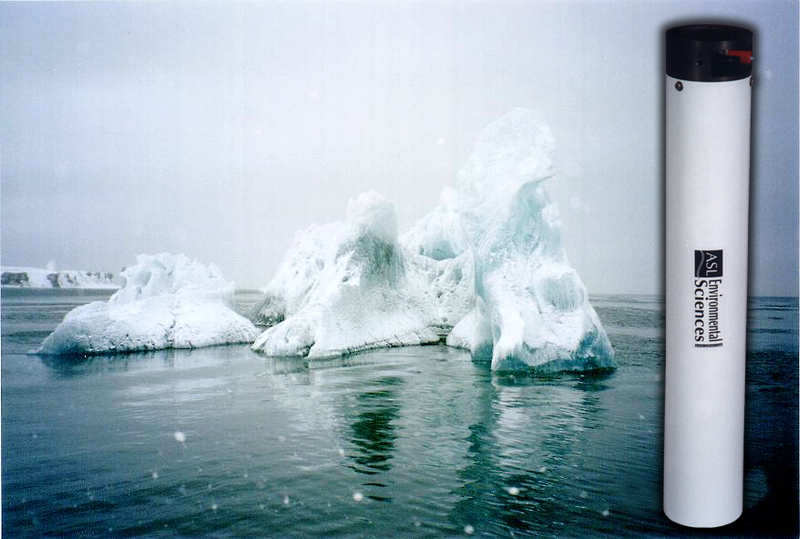 The company develops technologies and processes aimed at measuring currents, waves, sea ice, and sediment. Applications include everything from offshore energy exploration and production to understanding climate change and salmon spawning. The company currently is currently based at a large facility just off Keating X Road in Saanichton, and has grown to 50 employees. Many of ASL employees are UVic grads who now work as engineers, computer scientists, and physicists to create cutting-edge technologies. David is our Tectorian of the Week because he represents the potential of what can be achieved by setting out equipped with a vision and the desire to make things happen. Over the course of David’s career he has helped play a role building BC’s ocean technology sector, which David estimates generates annual provincial revenues of $1.1 billion while employing nearly 5,500 people. And many of those people work on the Saanich Peninsula at companies like ASL. After completing an M. Sc. in physical oceanography at the University of British Columbia in 1975, David worked on contract as a research oceanographer at the Institute of Ocean Sciences of the Department of Fisheries and Oceans (DFO) in Sidney, on the Saanich Peninsula. Two years later, in 1977, David co-founded ASL Environmental Sciences (originally Arctic Sciences Ltd.), and has held a number of senior positions in the company as it has grown to become Canada’s largest physical oceanographic company and a trusted name internationally. Two recent, incredibly cool technologies developed by ASL include the Ice Profiler Sonar, and the Acoustic Zooplankton and Fish Profiler. The Ice Profiler Sonar is used for polar science, climate studies, environmental assessment, and to help design offshore oil and gas platform to operate in challenging environments. The Acoustic Zooplankton and Fish Profiler is used by research labs to observe the vertical migration of zooplankton. ASL has been involved with the the VENUS and NEPTUNE projects from the very beginning. Other ASL customers and partners include the world-famous Woods Hole Oceanographic Institution, the Scripps Institution of Oceanography, and the British Antarctic Survey. In another interesting project, ASL is working with the University of Georgia to build an instrument that will be installed in 2016 at the Ocean Networks Canada NEPTUNE cabled observatory at the Endeavour hydrothermal vent site, approximately 300 km off the west coast of Vancouver Island, 2200 meters beneath the surface of the ocean. The instrument will measure the rise velocity of the plume and its turbulent properties in real time. The goal of the project is to better understand the interaction between hydrothermal vent fluids and the surrounding ocean and how that supports the unique ecosystem found at the vents. David Fissel also deserves credit for tirelessly supporting Greater Victoria’s advanced technology sector. Besides helping develop and foster collegial atmosphere among the various ocean technology companies that call the Saanich Peninsula and Greater Victoria home, David also has long supported the Sidney Breakfast Club. The Sidney Breakfast Club has acted as an event where entrepreneurs, inventors and others can come together to make connections, share ideas, and support one another. This desire to help each other out is part of our collective DNA in Victoria, and David Fissel has helped foster this sense of community. Our Tectorian of the Week is Thomas Binsl, a recent transplant to Victoria by way of London and, before that, the Netherlands. Thomas is the quintessential Tectorian: he discovered Victoria, fell in love with the place, and has figured out a way to relocate here to live. And, like many Tectorians, Thomas has brought with him to Victoria considerable technical skills and insights. He’s the co-founder of ClinicaGeno and director of ClinicaGeno Analytics, which support diagnostic companies with data analysis, software development and software validation services during the development of diagnostic tests. It’s all part of helping diagnostic companies accelerate the deployment of their medical diagnostic applications. Thomas holds a Bioinformatics PhD from the VU University Amsterdam and has extensive experience in the development of data-based solutions, the analysis of biological/medical as well as developing validated software for new medical diagnostic products. Currently, Thomas is in charge of the planning, development and management of the analysis and IT infrastructure for Microbiome’s bacterial diagnostic product. In addition, Thomas is also responsible for the implementation of the Quality Management System at ClinicaGeno. Thomas is new in town and is looking to make connections, so be sure to connect with him on LinkedIn. Our Tectorian of the Week is the Mustard Seed Food Bank. The Mustard Seed is a well-known non-profit organization fighting hunger and restoring faith in Greater Victoria. Besides running the largest Food Bank on Vancouver Island, the Bay Street organization provides nutritious hampers to neighbours in need throughout the week. Their skilled staff offer advocacy, counseling, addictions recovery, and many other resources. From food to friendship, the Mustard Seed aims to meet the physical, relational, and spiritual needs of the whole person. They have an active weekday drop-in centre that offers all sorts of services such as chapel, hair cutting, nursing, a clothing bank, access to home starter kits, and more. The Mustard Seed regularly serves weekend meals and offer a host of other weekend activities. Above all, the Mustard Seed is a place of acceptance and unconditional love. It’s a true fellowship aimed at cultivating a community of compassion where all are welcome. Not only that, the Mustard Seed is the cornerstone of the Tectoria community, providing a home away from home to many people who need someplace to go. It’s really easy for you to help out the Mustard Seed right now. The VIATeC Food Bank Challenge runs right now from February 2nd to February 27th (the Food Bank Challenge is now open to companies outside of the Tech sector too).